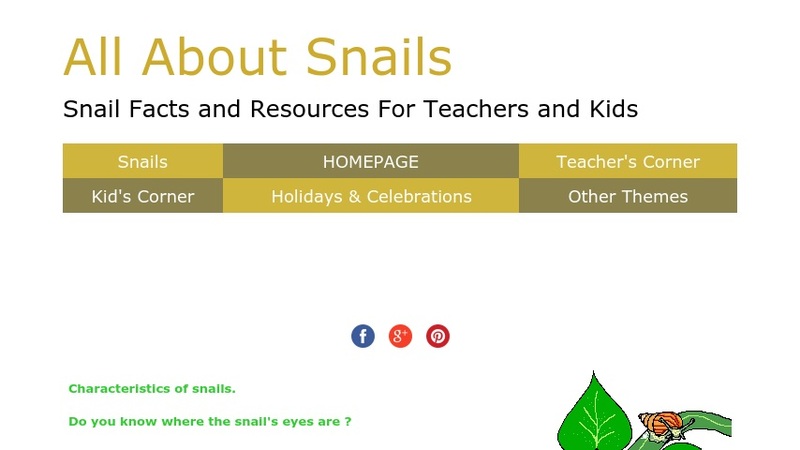 This website introduces younger students to snails. Topics include their physical characteristics and living habits, diet, reproduction, locomotion, life history, predators, and many others. There are also links to additional material on snails, including lesson plans, stories, poems, and songs, clip-art, art and craft activties, and other resources.